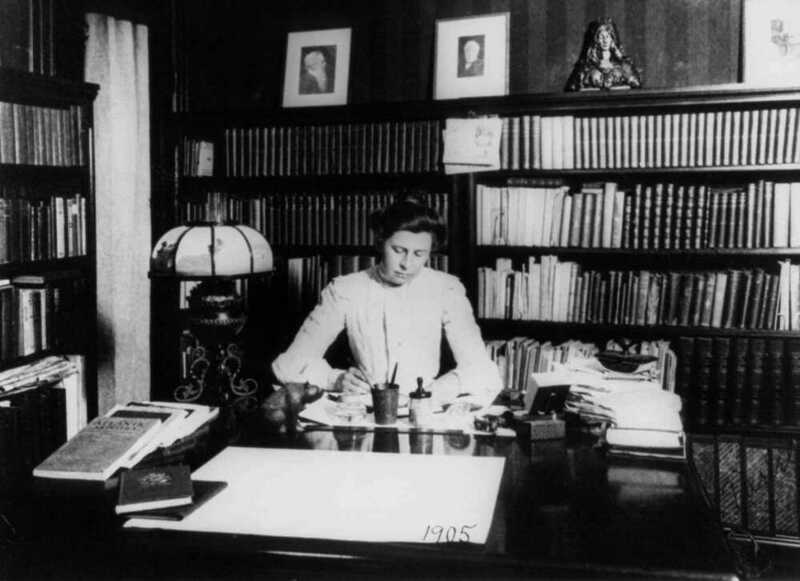 "I was not a writer, and I knew it," Ida Tarbell declared once, recalling her beginnings in journalism. "I knew I never should be one in the high sense which I then and still more now give to that word. 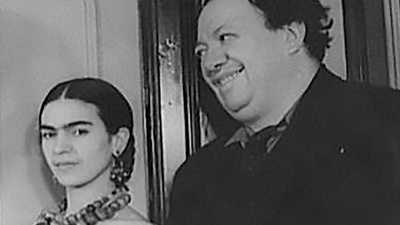 … But if I was not a writer I had certain qualifications for the practice of the modest kind of journalism on which I had decided . …Then there was my habit of steady, painstaking work -- that ought to count for something. And perhaps I could learn to write." Tarbell’s lack of confidence was unfounded. 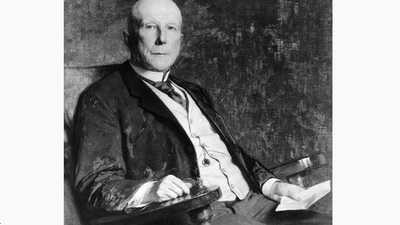 In "The History of the Standard Oil Company," she skillfully infused her exposé of the complicated inner workings of Rockefeller's trust with dramatic tension. Her eloquent prose, as gripping as it was rich in detail, captivated thousands of readers and established her as one of the most accomplished non-fiction writers of her time. The strides the firm of Rockefeller & Andrews made after the former went into it were attributed, for three or four years, mainly to [his] extraordinary capacity for bargaining and borrowing. Then its chief competitors began to suspect something. Rockefeller might get his oil cheaper now and then, they said, but he could not do it often. He might make close contracts for which they had neither the patience nor the stomach. He might have an unusual mechanical and practical genius in his partner. But these things could not explain all. They believed they bought, on the whole, almost as cheaply as he, and they knew they made as good oil and with as great, or nearly as great, economy. He could sell at no better price than they. Where was his advantage? There was but one place where it could be, and that was in transportation. For weeks the whole body of oil men abandoned regular business and surged from town to town intent on destroying the "Monster," the "Forty Thieves," the "great Anaconda," as they called the mysterious South Improvement Company. Curiously enough, it was chiefly against the combination which had secured the discrimination from the railroads -- not the railroads which had granted it--that their fury was directed. They expected nothing but robbery from the railroads, they said. They were used to that; but they would not endure it from men in their own business. No number of resolutions could wipe out the memory of the forty days of terrible excitement and loss which the region had suffered. No triumph could stifle the suspicion and bitterness which had been sown broadcast through the region. Every particle of independent manhood in these men whose very life was independent action had been outraged. Their sense of fair play, the saving force of the region in the days before law and order had been established, had been violated. These were things which could not be forgotten. There henceforth could be no trust in those who had devised a scheme which, the producers believed, was intended to rob them of their business. The oil men as a class had been brought up to enormous profits, and held an entirely false standard of values. As the "Derrick" told them once in a sensible editorial, "their business was born in a balloon going up, and spent all its early years in the sky." They had seen nothing but the extreme of fortune. One hundred per cent per annum on an investment was in their judgment only a fair profit. If their oil property had not paid for itself entirely in six months, and begun to yield a good percentage, they were inclined to think it a failure. They were notoriously extravagant in the management of their business. Rarely did an oil man write a letter if he could help it. He used the telegraph instead. Whole sets of drilling tools were sometimes sent by express. It was no uncommon thing to see near a derrick broken tools which could easily have been mended, but which the owner had replaced by new ones. It was anything to save bother with him. Frequently wells were abandoned which might have been pumped on a small but sure profit. The simple fact was that the profits which men in trades all over the country were glad enough to get, the oil producers despised. The one great thing which the Oil Regions did not understand in 1872 was economy. The great human tragedies of the Oil Regions lie in the individual compromises which followed the public settlement of 1880. For then it was that man after man, from hopelessness, from disgust, from ambition, from love of money, gave up the fight for principle which he had waged for seven years. "The Union has surrendered," they said, "why fight on?" This man took a position with the Standard and became henceforth active in its business; that man took a salary and dropped out of sight; this one went his independent way, but with closed lips; that one shook the dust of the Oil Regions from his feet and went out to seek ‘God’s Country,’ asking only that he should never again hear the word ‘oil.’ The newspapers bowed to the victor. A sudden hush came over the region, the hush of defeat, of cowardice, of hopelessness. 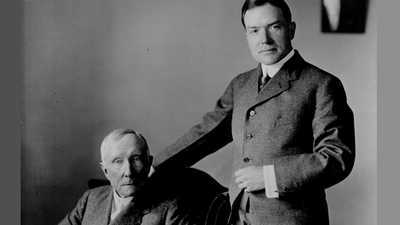 With Mr. Rockefeller’s genius for detail there went a sense of the big and vital factors in the oil business and a daring in laying hold of them which was very like military genius. He saw strategic points like a Napoleon and he swooped on them with the suddenness of a Napoleon. Mr. Rockefeller’s capture of the Cleveland refineries in 1872 was as dazzling an achievement as it was a hateful one. The campaign … viewed simply as a piece of brigandage, was admirable. The man saw what was necessary to his purpose and he never hesitated before it. His courage was steady -- and his faith in his ideas unwavering. He simply knew what was the thing to do, and he went ahead with the serenity of the man who knows. Little by little as the public began to realize the compactness and harmony of the Standard organization, the ability of its members, the solidity of the qualities governing its operations, they began to forget its history … they began to accept the Standard’s explanation that the critics were indeed "people with a private grievance," "moss-backs left behind in the march of progress." It looked more and more to the outsider as if henceforth Mr. Rockefeller was going to have things his own way, for who was there to interfere with him, to dispute his position? No one, save that back in Northwestern Pennsylvania, in scrubby little oil towns, around greasy derricks, in dingy shanties, by rusty deserted oil stills, men still talked of the iniquity of the railroad rebate, the injustice of restraint of trade, the dangers of monopoly; still rehearsed with tiresome persistency the evidence by which it had been proved that the Standard Oil Company was a revival of the South Improvement Company. Now, it takes time to secure and to keep that which the public has decided it is not for the general good that you have. It takes time and caution to perfect anything which must be concealed. It takes time to crush men who are pursuing legitimate trade. But one of Mr. Rockefeller's most impressive characteristics is patience. There never was a more patient man, or one who could dare more while he waited. The folly of hurrying, the folly of discouragement, for one who would succeed, went hand in hand. Everything must be ready before he acted, but while you wait you must prepare, must think, work. "You must put in, if you would take out." His instinct for the money opportunity in things was amazing, his perception of the value of seizing this or that particular invention, plant, market, was unerring. He was like a general who, besieging a city surrounded by fortified hills, views from a balloon the whole great field, and see how, this point taken, that must fall; this hill reached, that fort is commanded. And nothing was too small: the corner grocery in Browntown, the humble refining still on Oil Creek, the shortest private pipe line. Nothing, for little things grow.